There will be aÂ meeting with University Regent Mark Alden regarding Frazier HallÂ to be held Friday, November 9th at the TAM Alumni Center on the campus of the University of Nevada, Las Vegas. The meeting will begin promptly at 5PM the meeting will be for approximately 30 minutes. If you have any questions please feel free to contact Brian Paco Alvarez at 280-3498. Best piece of morphing software Iâ€™ve ever seen. Well worth 2 minutes of time wasting. Reminder: Mayor Goodman at Downtown Cocktail Room TODAY (Tuesday) at 6pm. Stop on by. 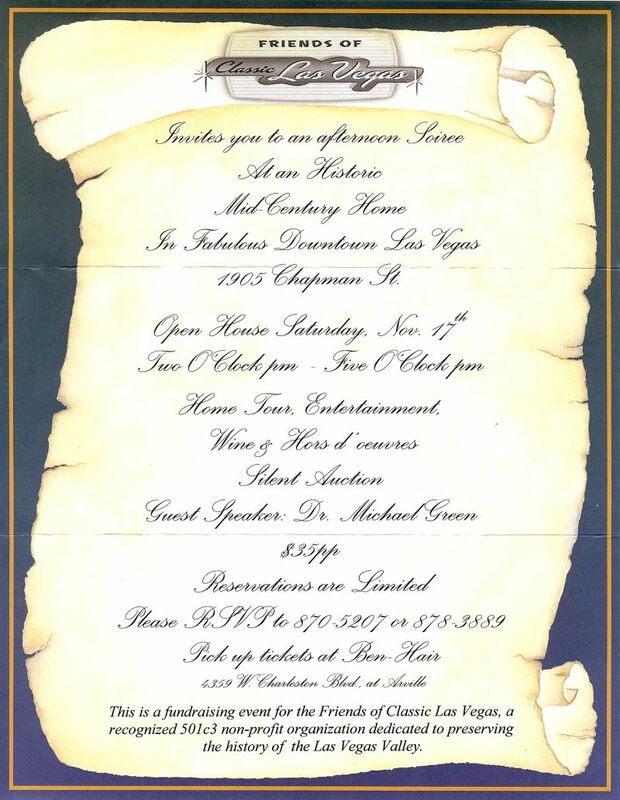 Just got an invitation to a Friends of Classic Las Vegas fundraiser at the vintage Vegas former home of Jackie Gaughan, the casino Mogul. 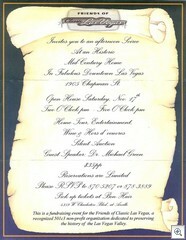 (did I ever mention that thereâ€™s going to be a â€œModernism Weekâ€ here in Las Vegas NEXT October? Huge event! World Wide Publicity etc etc. If you want to get involved, then read this email from Josh. I highly recommend going through all the active/pertinent topics and selecting the “watch this topic feature” in lower left hand corner of the thread.Select a topic of interest, scroll all the way down the page, and click “Watch this topic for replies”… that way you will automatically receive email updates every time there is a reply posted to a thread.